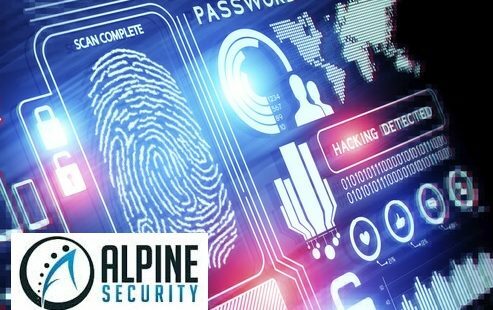 As a major player in medical device security, Alpine Security is currently raising more awareness of the importance that medical facilities should attach also to cybersecurity for medical imaging equipment. Although it is thought that these devices may pose a lower risk to life when compared to cardiology equipment, hackers may use the infrastructure as a beachhead to target other devices – as well as to reverse engineer the intellectual property contained in the design of the equipment. Jana White, the COO of Alpine Security, said the following: “The strategies we deploy to protect medical infrastructure from hackers has created a template that organizations around the world can use. Naturally, we pass this knowledge and ability to our trainees who undergo cybersecurity career training”. According to Emily Tate from EdSurge, K12 education facilities experienced more than 122 known cybersecurity incidents. Whilst education may not face consequences as severe as the medical industry, it is certainly of concern – especially in the areas of forced technology transfer and intellectual property. In North Dakota, a new cybersecurity bill has been passed. This will unify the IT services across the state and provide a centralized approach to cybersecurity across all public institutions. The aggregate data for 6 months, during 2018 alone, showed that the state saw some 34 million vulnerability attacks on software with 3.3 million denial of service attacks. There was also 88 million spam or phishing emails. This may well serve as a credible template for other states seeking to streamline their cybersecurity strategy – albeit that a nationwide solution, orchestrated from a federal level will be much more useful to provide a speedy and scaled solution in the face of major threats and peak demand for cybersecurity. This was echoed recently on CNBC when Jim Cramer and Shark Tank’s Robert Herjavec discussed the rise of connected devices poses a real threat to cybersecurity. After facing a wave of publicity issues in the US (following the arrest of a senior Huawei official in Canada), the company is said to have offered to build a cybersecurity center in Poland. Despite this, Reuters reported that the government of Poland may exclude Huawei equipment from the future 5G network. The above are interesting developments in the industry. There is literally no sector that is without risk – and in a follow-up article, we will focus on security risks associated with autonomous vehicles. Penetration testing – as well as continuous training, are essential components in the fight against hackers.